Melbourne will be the stage for seven days of fashion-inspired action ahead of Spring with 4 fresh faces. I am proud to support the Melbourne Spring Fashion Week (MSFW) 2012 which offers a variety of exciting events and shows for locals and visitors. Lionel's Melbourne is set to dress up and party from Monday, 3 September until Sunday, 9 September. Kicking off MSFW is the Business Series presented by The Victorian Government and supported by WGSN, Grand Hyatt Melbourne, Officeworks and media partner the Herald Sun. The Series running on 3 days from 7am to 8.45am in Grand Hyatt has lined up a diverse cast of industry leaders to discuss issues relevant to Melbourne's retail, fashion and design environment with industry peers and visitors. 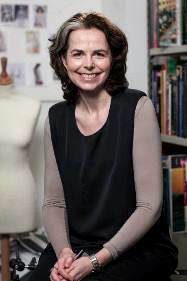 All sessions are facilitated by Lorna Hall, a veteran journalist of 15 years in fashion retail market, Senior Editor of the Retail area at WGSN and a regular commentator on the fashion trade via international media. Tickets to Melbourne Spring Fashion Week's Business Series are available at Ticketek. Why? If you're interested to learn more about issues relevant to Melbourne's retail, fashion and design environment from a diverse cast of industry leaders, then make a date now with the MSFW Business Series.